Did you know soil is made from rocks that wear away or break apart over many years. This is known as weathering. It may take 100 - 1000 years for 1 cm of soil to form through weathering. 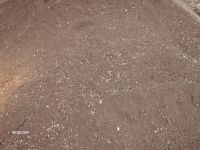 Soil is screened on site and the screened material is sold as infill soil. Infill soil is ideal for filling in holes or for major excavation work. We deliver by the skip or roll on/off container.